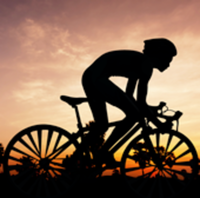 Come out and experience Orange County’s best bike ride! The Saddleback Spring Classic Gran Fondo has a ride distance for you no matter what your experience or fitness level may be. You’ll enjoy the best of what Orange County has to offer while “Pedaling to Cure Pediatric Cancer”. All participants will get an amazing finisher’s medal and event T-shirt to memorialize your day, with an option to add a one of a kind event cycling jersey. This event benefits the Pediatric Cancer Research Foundation and has a required $10 donation and a suggested $20 donation amount. We also encourage participants to set up fundraising pages and form teams to have even more impact. Help us cure Pediatric Cancer!